[Translation of December 27th, 2017 article] It didn’t come as a surprise that the FCC voted the end of the Internet Neutrality on December 14th. This was a warning shot to all that defend a free and open internet. But reactions were quick to come. Led by Bernie Sanders, the (ultra) democrat candidate at the primary, a legal counter-strike is on the way. The vote on December 14th held no surprise: two members defending the net neutrality and three against. Only a miracle could have prevented the Federal Communications Commission (FCC) from voting the end of net neutrality. It had been instored by the Obama administration in 2015. The miracle didn’t occur and this date now marks the official burial of this principle. There was a strong mobilization of citizens and content creators alike. But this measure was dear to President Donald Trump, who is close to telecom operators, and owed this to them. But the burial is not an end. The net neutrality could spring up again, stronger than ever. The first voodoo sorcerer to take position is an old 2016 presidential campaign acquaintance. Bernie Sanders, the unsuccessful democrat primary candidate, is a great defender of liberties. He spoke up to deem this vote « a egregious attack against our democracy ». « The end of net neutrality protections means that the internet will be for sale to the highest bidder […]. At a time when our democratic institutions are already in peril, we must do everything we can to stop this decision from taking effect » said the Vermont Senator. He proposed two battle plans. The first one has already started but the chances of it succeeding are slim. A Congressinal Review Act has been set up to allow legislators to cancel a federal agency decision up to 60 days following enactment. An appeal before the Senate and the House of Representatives, with little chance of success. The Democrat Senator of Massachussetts Ed Markey, together with 15 more Senators, announced the launch of this resolution: « Congress can correct the Commission’s misguided and partisan decision and keep the internet in the hands of the people, not big corporations ». There’s a problem though. To validate a Congressional Review Act, the majority of the Senate and the House of Representatives must vote for it. However, both chambers are Republican (at least by one vote as is the case in the Senate) and they are against net neutrality. Besides, the President can veto such resolutions. It is therefore far fetched to hope he will let go of this law. The second plan has far greater chances of success. 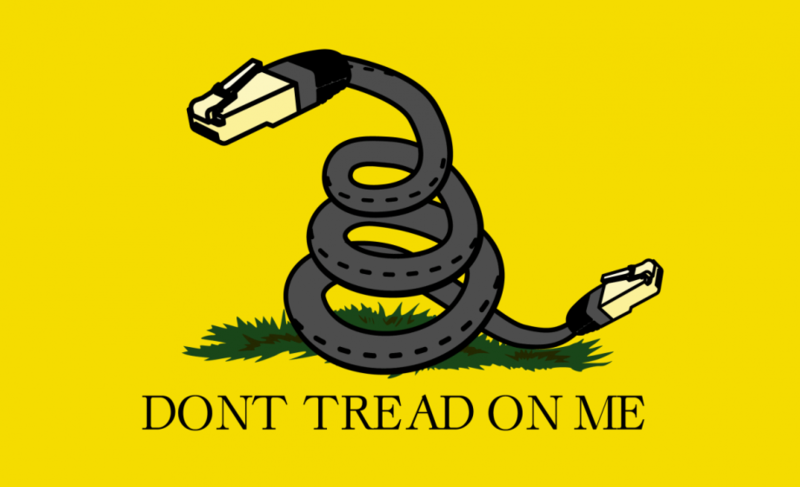 It aims to invalidate the FCC decision in the court of law. It must be proven that the regulatory body has been influenced by net neutrality critics. The New York Advocate General Eric Schneiderman has charged headlong. « New Yorkers deserve the right to a free and open Internet. That’s why we will sue to stop the FCC’s illegal rollback of net neutrality [and prevent it from further damage the Internet and our economy] ». He indicated that he was not acting alone. No less than 18 other attorneys in various States could also attack the FCC decision. They all co-signed a letter asking to delay the vote due to the overwhelming evidence in the first elements of the enquiry regarding the consultation. In the meantime, three public interest groups (Public Knowledge, Common Cause and Free Press) stated they intended to sue as well. Other organizations could follow, especially the lobby of Internet giants, the Internet Association. Many observers feel the FCC decision won’t stand in court. Tim Wu (Law Professor at Columbia University in New York), is one of them: « I believe this is doomed in court. They went too far ». He’s actually the one who coined up the term « net neutrality » back in 2002. Yet, the proceedings may be very long. Meanwhile, some States, like Washington, annouced they would put financial pressure on Internet providers to maintain net neutrality. The vote is behind us but the battle is not over.